The surefire signs that fall has arrived at Grand Canyon include bugling elk, changing leaves, and cooling temperatures. For the past eight years, one could add the annual Celebration of Art to that list. 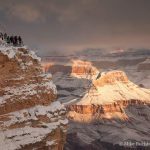 This week-long plein air painting festival, which supports the arts at Grand Canyon National Park, takes place each September on the South Rim. This year’s installment to the series featured public presentations and demonstrations by several of the two dozen participating artists, a quick-draw competition with a live auction, and the opening ceremony for an exhibit of the artist’s work which will be on display through January 16, 2017. 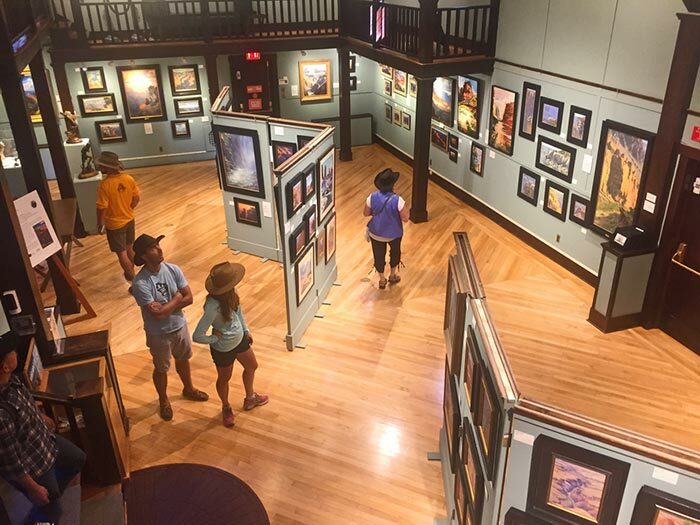 This free exhibit in Kolb Studio is a “must-see” for any visitor headed to the South Rim through the winter holidays. Kudos to the Grand Canyon Association and the National Park Service for making this wonderful event possible.